UUMFE is partnering with the UUs for Social Justice (UUSJ) for a “Write Here! 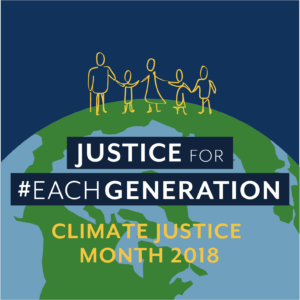 Write Now!” letter writing advocacy campaign during Climate Justice Month (April 2018). The campaign theme this year is support for the RECLAIM Act, to allocate $1b to reclamation and restoration of land and water resources, and economic development in coal communities that are in transition. Organize a letter writing event with your congregation appealing to members of Congress and then express mail — or scan and email — the letters to UUSJ in Washington, D.C. UUSJ must receive the letters by Friday, May 4th. UUSJ Capitol Hill Advocacy Corps volunteers will then hand deliver the letters to congresspeople on Tuesday, May 8th. Last year, 550 letters calling for full funding for environmental monitoring, restoration, and environmental justice programs were hand delivered after Climate Justice Month. This year, UUSJ wants to deliver even more letters! For questions, contact Lavona Grow, advocacy@uusj.org.